Got two minutes? 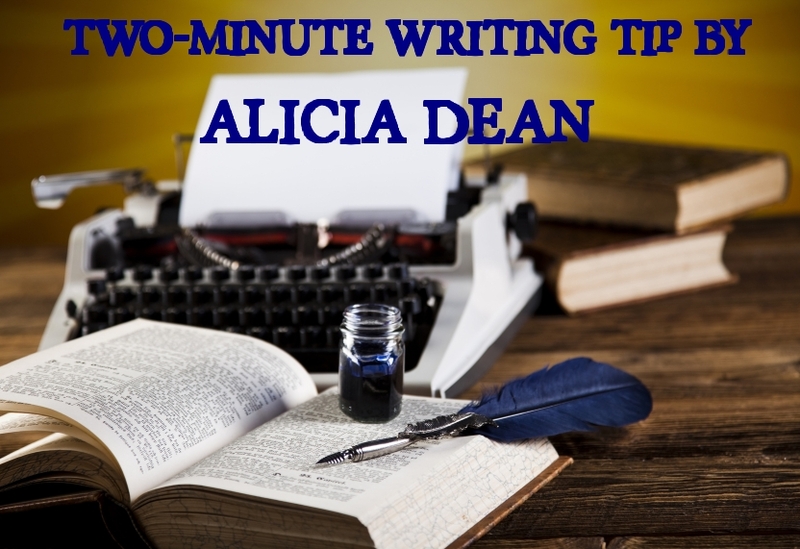 Then check out this week’s quick tip ~ How to get un-stuck when you’re stuck and can’t write. I am under a deadline, an intense, terrifying deadline that I set for myself. I’ve been in similar situations, and I have always accomplished what I needed to. Right now, I’m not gaining as much ground as I would like. I know exactly what is going to happen in the last handful of scenes I need to write, but I can’t seem to get them down on paper. And I’m starting to panic. I even gave myself permission to write crappy, although I’m not sure myself is obeying my directive. Isolate the scene from the rest of the book. Open a new document and write the scene all on its own. Write the scene like you’re telling a friend about it. If it helps, pretend like you’re telling a friend about a movie you saw. Write it crappy, conversationally. Just ‘tell’ what happened. You can polish and ‘show’ in revisions. Write gibberish. Just string a bunch of nonsensical words together. Anything that comes to mind. Try this for 5 or 10 minutes. It can be quite freeing. And, writing is a muscle. The more you exercise it, the better it works. Close your eyes, picture the scene, the setting, the characters, feel, smell, hear the scene…and spew out crap. Total, poorly written crap. Take a scene (copy and paste from a word document) from one of your own books and type over it with the events in the new story. Reminding yourself you’ve done this before, and seeing how you were once able to get words on paper, can help jumpstart your brilliance again. Then, write. No matter how awful the writing is, or how hard it is to push the words out, keep writing. I remember how I felt just a few weeks ago when writing a brand new story…now I’m just…. blah blah blah … may never write again LOL! Great advice, Alicia. Giving that self-permission to write crappy certainly does liberate the brain and free the muses. Thanks for sharing. Loved this! Especially the bites ya in the arse part! I haven’t experienced writer’s block yet, but when I do I’ll be glad to have these tips. I’m a huge fan of your writing, so I know that, no matter what’s coming out right now, in the end, it will be brilliant! What year WAS that when I got stuck? I can’t remember now. Great advice as always. Thanks for taking the time to give us these tips. You are not the only one Alicia, writers block is alive and kickin! Great tips thank you. I especially liked the ‘writing as if you are having a conversation’ tip, that works for me. Sometimes it’s about getting the words down on paper, you can hone and polish them from there. I’ve got about another 30,000 words to go… I shall be having a long conversation tomorrow!! Thanks for such helpful tips. My favorite is to be sure you don’t actually use the other author’s words. 🙂 I guess it had to be said! Great tips, as always! Good luck with your deadline. I know you can do it. Now you know you’re not the only one. Me, too. Great advice. Hope you get the writing back on track. My cure for being stuck is to walk. I can fix almost anything in a nice quiet mile. I live on a farm so I’m not sure if it would work for me if I was walking in a neighborhood. Driving is my second choice. A silent two or three hour drive to my southeast Oklahoma relatives is great for working out plot problems.